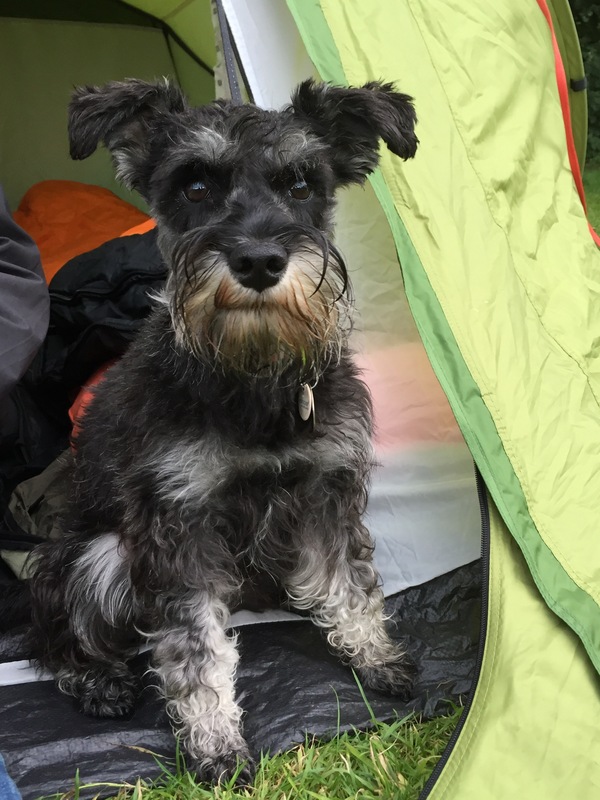 Rikki the Rockhopper and Fury the mini Schnauzer puppy picked me up on Friday as planned and drove us to the campsite. It felt like a fast way to travel, the hedges zoomed by the window and the view changed remarkably quickly. On the Saturday morning all the other small tents had popped up overnight and once we’d agreed a route we set off. Having only a day bag I felt like I could gallop along. Ahh such relief. From West Burton we reached the top of the ridge at Height of Hazeley with ease and added some mileage by wandering around looking for a dropped camera, which we never found. Then it was on to Brown Haw and eventually Buckden Pike along the ridge line which was a pathless, tussocky, bog slog. From Buckden Pike we picked up a footpath and eventually a track which led us down to farmland. About 100 stiles later we were back at West Burton and it would’ve been rude not to walk past the pub and not stop. So I’d done a tough 17.5 mile walk and got no closer to John O’Groats…! Hmm. Today I was back to heading in a line due north. 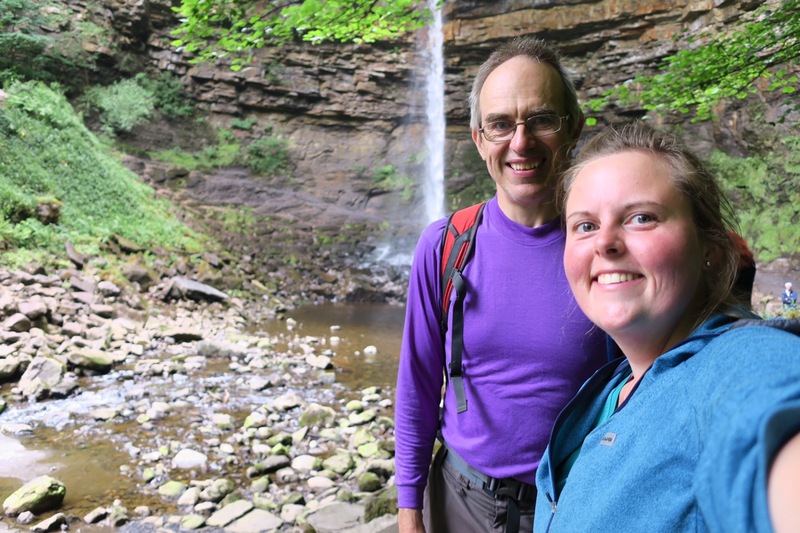 Chris the Rockhopper had also been suitably knackered by the previous day’s walk and so offered to take me back to Hawes and then walk with me for the first mile and a half to Hardraw Force – at 98ft it’s the highest single drop waterfall in England. Entrance is through a pub which is novel and it was quite impressive but I’m not sure about £2.50 impressive. 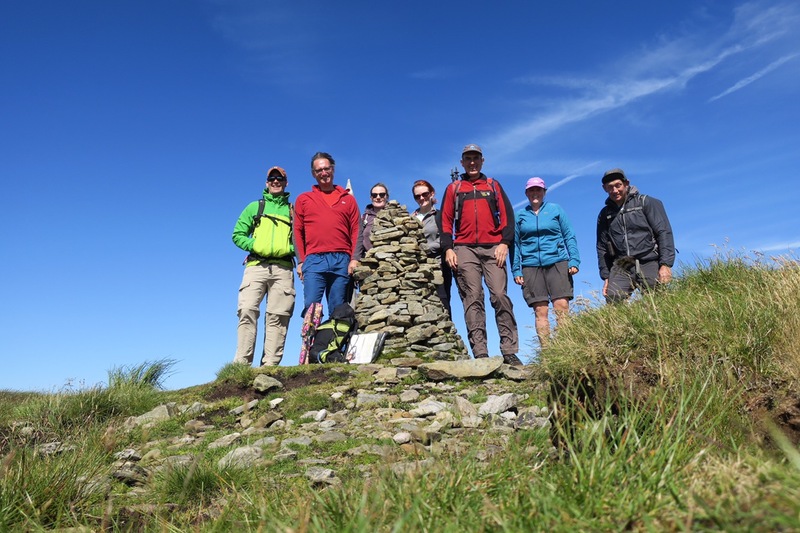 After this I was back on my own again for the trudge up Great Shunner Fell – the guidebook had warned me about the false summits but at the 10th I was getting a bit bored of thinking I was nearly at the top so just forgot about it and marched on. 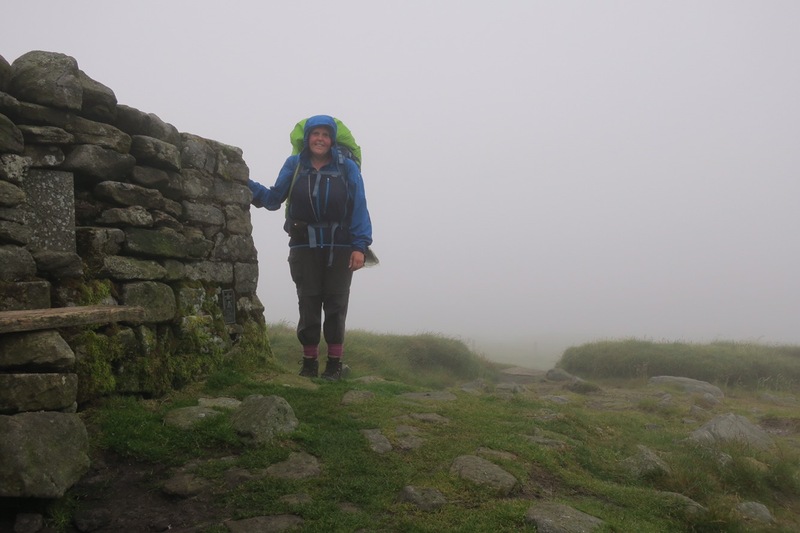 By the time I got to the top the cloud and mist had rolled in and I couldn’t see very far but it was a uncharacteristically dry mist. I’ll take that! On the way down, the sun came out and by the time I got to the pretty little village of Thwaite I was roasting so it was a good job the tea room was open. There was less than a kilometre left so I hauled on my pack, ambled down to the campsite and pitched up in a lovely riverside spot.